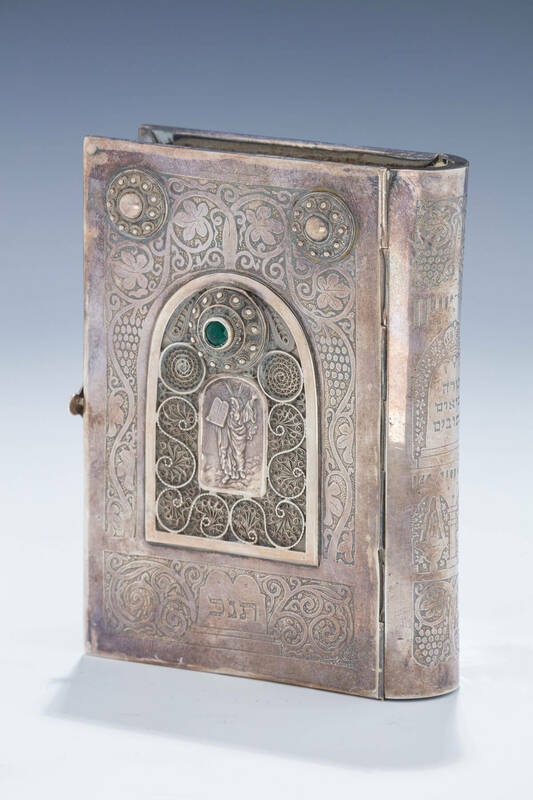 A STERLING SILVER BINDING WITH ORIGINAL TANAKH BY BEZALEL.. Israel, c. 1950. Acid etched design with grapevine leaf and tribal motifs. Fitted with filigree applications and central cartouche of Moses with the Decalogue. 5.3” tall.